The Department of Adult and Pediatric Traumatology, Hand Surgery at the University Hospital Duesseldorf offers the full range of diagnostics and treatment of injuries of any severity. The specialists of the department have outstanding experience in the treatment of multiple injuries. If necessary, all the necessary doctors from the related fields will be involved in the treatment process. In addition, the department’s competence allows to perform all modern osteosynthesis procedures, including minimally invasive arthroscopic procedures, as well as shoulder, hip and knee replacement surgery. The department is headed by Prof. Dr. med. The main specialization of the department is medical care for patients with injuries of the upper and lower extremities, spine and pelvis. 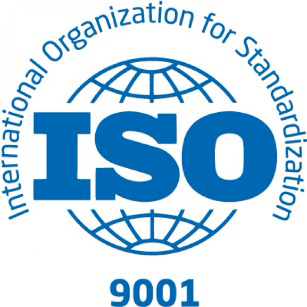 The department is also certified for the treatment of industrial injuries. The successful clinical practice of the department is based on the use of classical and innovative conservative, as well as operational methods that provide the optimal result. In addition, a feature of the department is a state-of-the-art room for hyperbaric oxygen therapy, which promotes wound healing. Study of Medicine, Johann Wolfgang Goethe University Frankfurt. 1986 Doctoral thesis defense and admission to medical practice. Qualified as a Medical Specialist in Surgery, Traumatology, Hand Surgery and Orthopedics. 1999 - 2001 Acting Head of the Department of Traumatology, Hand Surgery and Reconstructive Surgery at the University Hospital Frankfurt. 2001 - 2005 Deputy Head of the Department of Traumatology, Hand Surgery and Reconstructive Surgery at the University Hospital Hamburg-Eppendorf. Since 2005, Professor in Traumatology, Heinrich Heine University Duesseldorf, as well as the Head of the Department of Adult and Pediatric Traumatology, Hand Surgery at the University Hospital Duesseldorf. 2008 - 2016 Dean of the Faculty of Medicine of the Heinrich Heine University Duesseldorf. Since 2008, Board Member of the German Society of Hand Surgery (President of the Conference 2013). 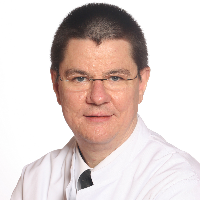 Since 2012, Board Member of the German Society of Traumatology (since 2018, President). Since 2017, Board Member of the University. Department of Adult and Pediatric Traumatology, Hand Surgery.